Patrick has specialist expertise working with family businesses, professional services firms, the construction and property sector and the care sector. 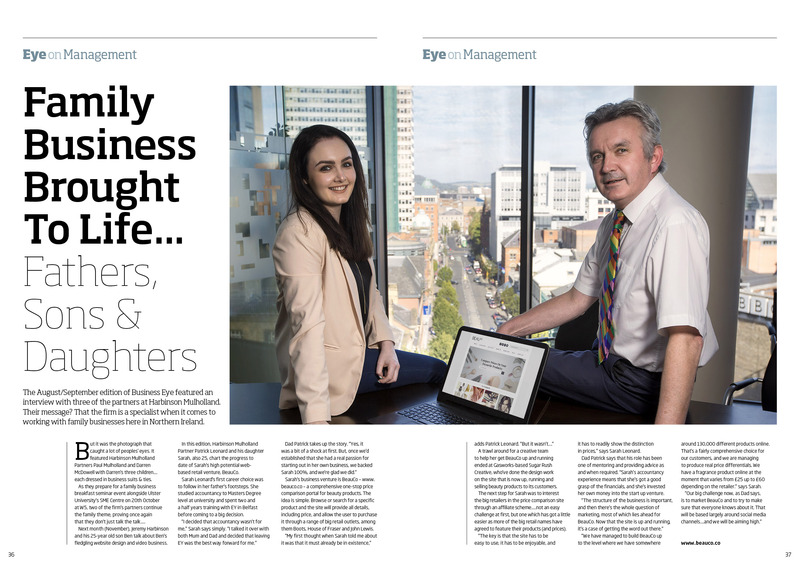 Patrick and his daughter Sarah were featured in a Business Eye article about family business. Patrick’s dream dinner party guests would be Billy Connolly, Peter Kay and Paul O’Grady - and he would probably serve them his home-grown tomatoes which apparently his neighbours say are wonderful. After laughing their way through dinner, they would probably round off the evening on a quieter note watching his favourite film classic The Shawshank Redemption.